Cute move in ready home. 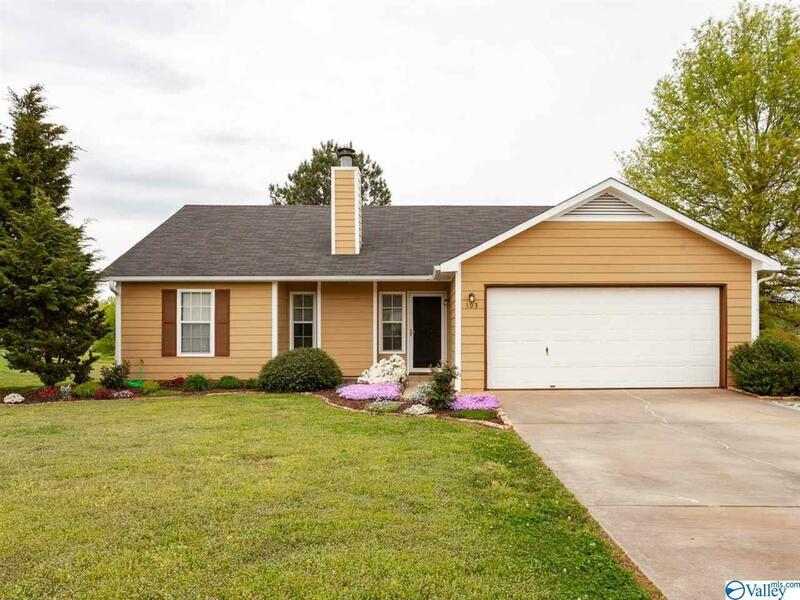 3 bedroom 2 bath with privacy fence home is centrally located off 231/431 North. Owners have taken great care of this home. Isolated Master bath with a large shower. Vaulted ceiling and wood burning fireplace in the spacious living room. Semi open concept from kitchen to living room. Extra parking , 30 AMP RV hook up, back deck, large screened in back porch and storm shelter. Large fenced in backyard. Flower beds professionally designed and return yearly. HVAC is under 3 years old. Roof 2011 and water heater 2019. Copyright 2019 NARIS, Inc. All rights reserved. Information deemed reliable but is not guaranteed and should be independently verified. The data relating to real estate for sale on this web site isprovided courtesy of the IDX Program of North Alabama Real Estate Information Service, Inc. Real estate listings held by brokerage firms other than Whitehead Realty are marked with the NARIS logo and detailed information about them includes the name of the listing broker. Information provided is for consumer\'s personal, non-commercial use and may not be used for any purpose other than to identify prospective properties consumers may be interested in purchasing. Whitehead Realty does not display the entire MLS database on this website. The listings of some real estate brokerage firms have been excluded. This site will be monitored for \'scraping\' and any use of search facilities of data on the site other than by a consumer looking to purchase real estate, is prohibited. Listing broker has attempted to offer accurate data, but buyers are advised to confirm all items. Information last updated on 2019-04-26.